A tasty sauce from well-known producer Por Kwan, this is a delicious sauce especially tasty with crispy (fried) food such as fried spring rolls, sugarcane shrimp, fish cakes, even french fries. Packed in a large glass bottle. Medium consistency (not think like water, but less thick than ketchup), full of plum flakes. Lovely flavor. Ingredients: sugar, glucose syrup, water, fermented plum, distilled vinegar, salt, citric acid, sodium metabisulphite. Product of Thailand. 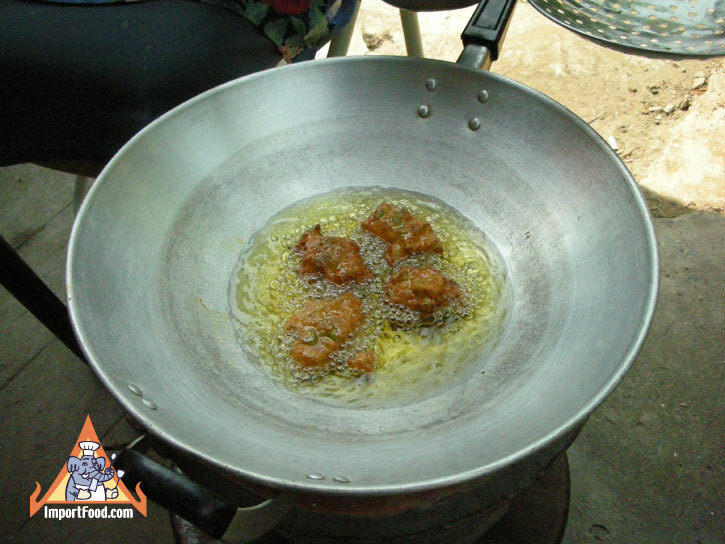 Thai Street Vendor Video Series: Thai Dipping Sauce For Fish Cakes "NamjimTodMun"